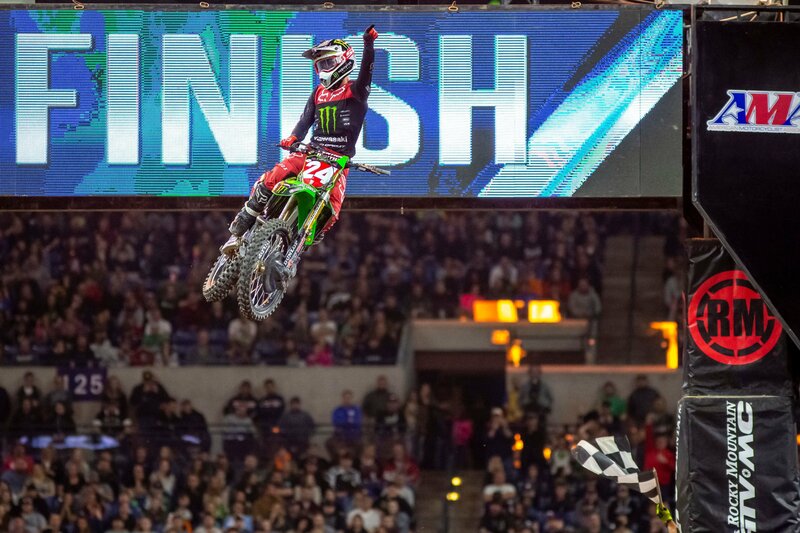 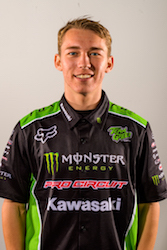 INDIANAPOLIS (March 17, 2019) – Monster Energy Pro Circuit Kawasaki’s Austin Forkner overcame a tough heat race to charge out to the main event holeshot and lead every lap inside Lucas Oil Stadium, extending the team’s win streak to eight. 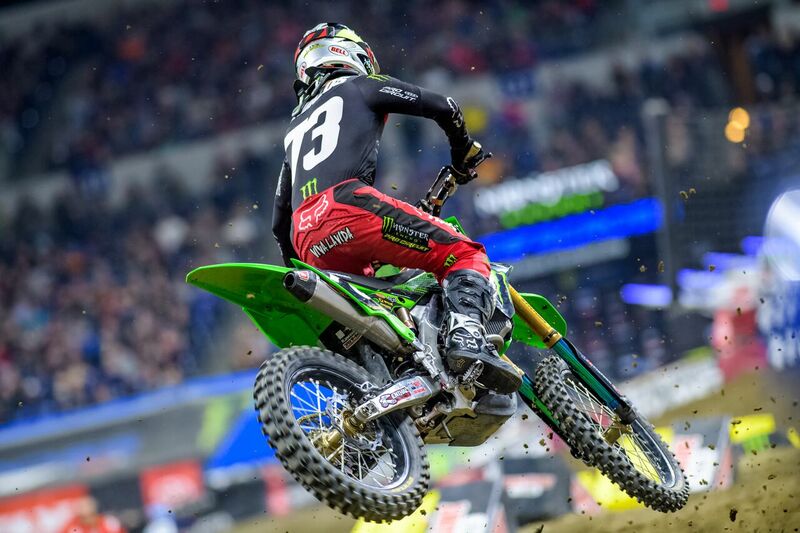 Forkner’s fifth win puts him 26 points ahead of second in the championship with three races remaining. 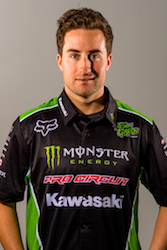 Teammate Martin Davalos had another great start in the main event and kept up the pace to finish fifth as the eastern regional riders get a break from action until April when they reconvene in Nashville.